The book is a collection of articles, mostly about nature, but also about some other topics. The writing style is very nice and you do get a lot of relatively new information on various topics (it was first published in 1988). The first half of the book I found a lot more interesting, the second half took me quite a long time to read, I’d even say I forced myself to read the last few essays. I enjoyed an article about holes the most. Yes, indeed holes. Because he was writing about meteorite craters, but also boreholes, and those are quite interesting if you’re into holes in the ground etc. Another cool article was about the Hauff museum in Southern Germany, where there is a family business that preserves fossils of ichthyosaurs (by the way, would you consider it discrimination of a species when auto-correct tells you it’s a tyrannosaur not an ichthyosaur? ) and also runs a small museum (Urwelt-Museum Hauff), that sounds like a great place to visit some day . 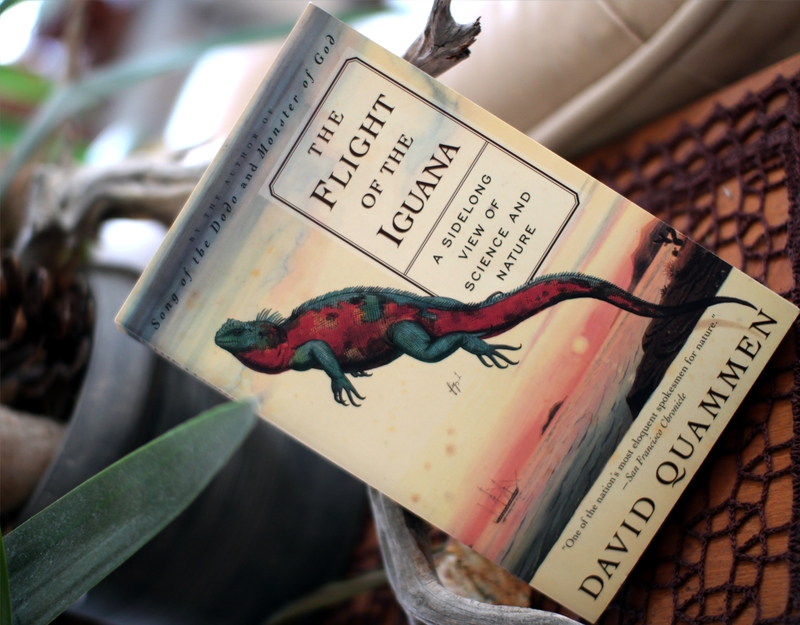 This entry was posted in Non-fiction and tagged book review, books, David Quammen, The Flight of the Iguana. Bookmark the permalink.